This includes a free initial consultation and site visit to your garden in the Aberdeen/Aberdeenshire area. 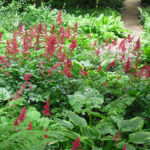 I will view your garden with you in order to establish your requirements. Together we can discuss and develop ideas for your outside space ensuring that they are tailored to your needs and meet your budget. 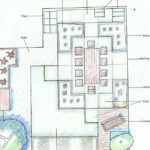 In addition this is a chance for you to meet me before we progress any ideas into an Outline Garden Design. 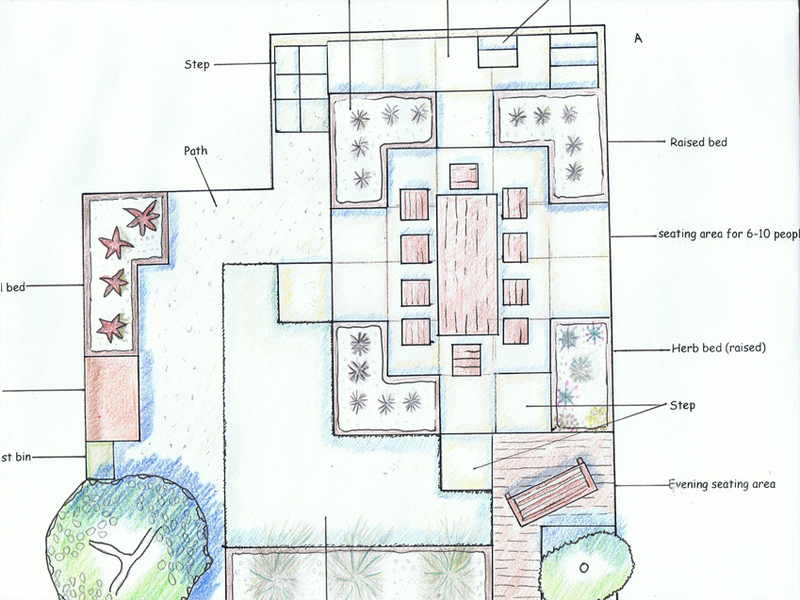 This is a colour bird’s eye view 2D plan with annotations of your garden design. 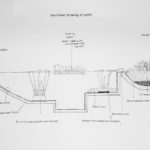 This will be detailed enough to enable a builder or landscaper to create your garden from scratch. Fees for this service range from £600-£1000 depending on garden size. These rates include a presentation and explanation of the design at your home. Fees will be agreed either at the Onsite Design Consultation or at a later date before commencing the design survey. 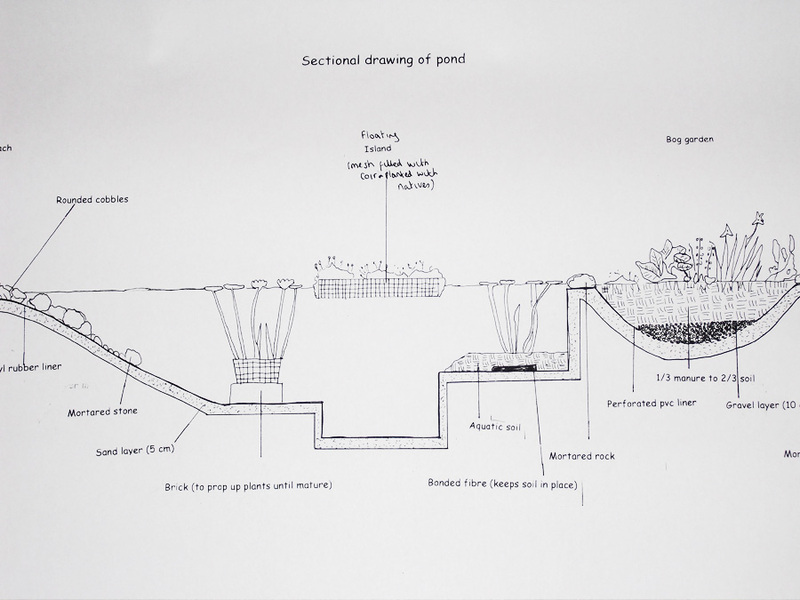 You may require more detailed structural drawings of particular garden features for construction or planning requirements. 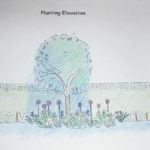 I can provide these as an additional drawing to the Outline Garden Design (typical fee £200-£400). 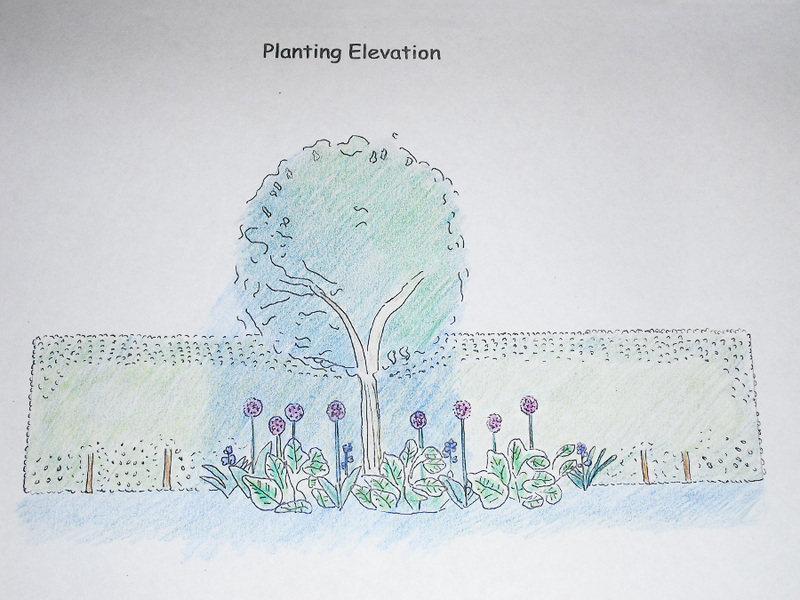 I can provide you with a numbered planting plan with relevant planting information for your garden design. Typical rates would be £150-£450 depending on garden size. 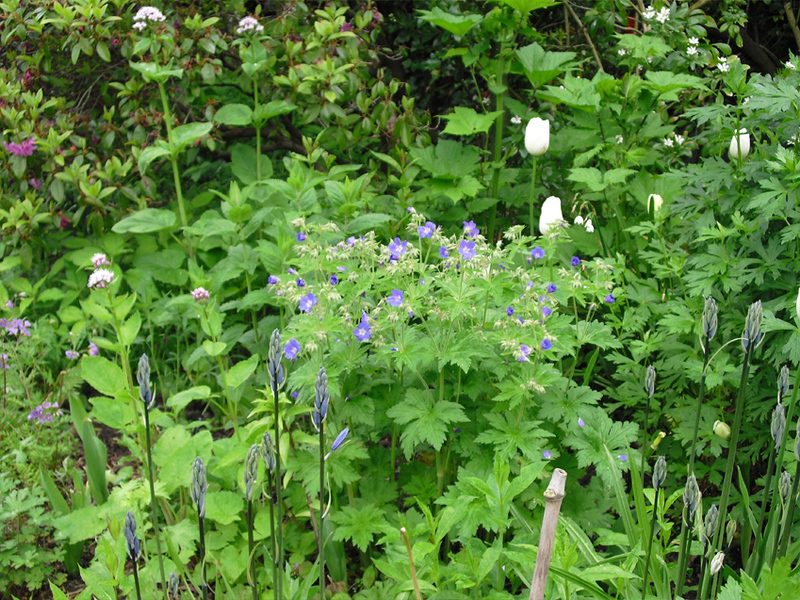 I can choose, arrange delivery and layout the plants in your garden. Typical rate would be £100-£300. I can plant up the garden or bed for you. Typical rate would be £20 per hour. I can project monitor the building of your new garden for you. This would include finding and managing contractors and sourcing materials. I charge £50 per supplier tender to put the building work out to tender and £30 per hour to monitor the work of contractors. 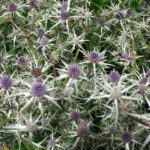 To keep your garden in peak condition I can provide you with a detailed maintenance plan for the plants in your garden. Typical rate would be £100 – £400 depending on garden size. 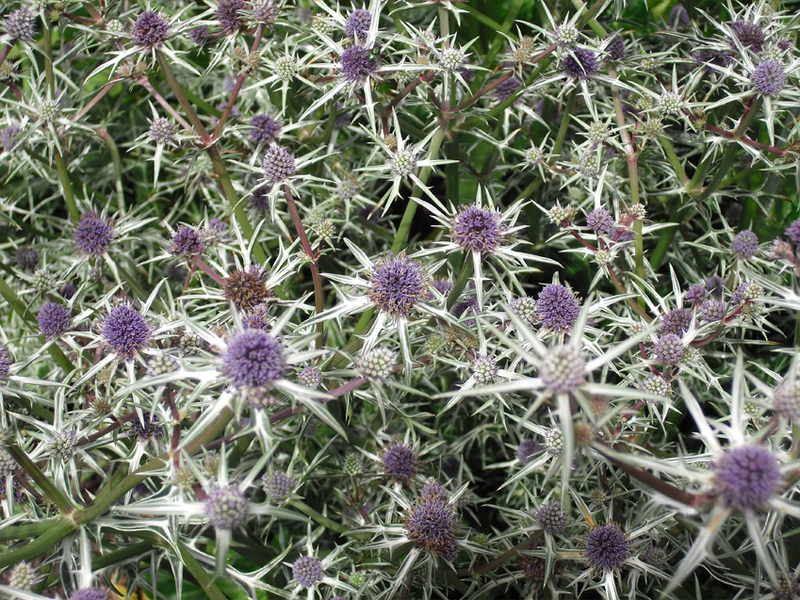 For smaller areas of your garden e.g. a bed, a maintenance plan can be provided at a typical rate of £20 per hour. 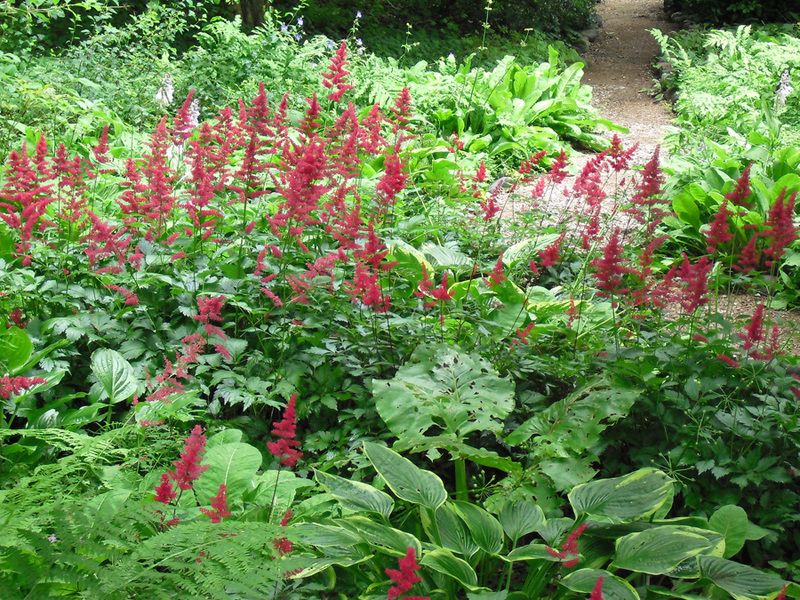 I provide an after care and maintenance service for all gardens which I design. Various packages are available. The maintenance service would be provided at a typical rate of £20 per hour. 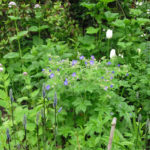 This would include weeding, pruning, lifting and dividing of plants and replanting and providing advice.